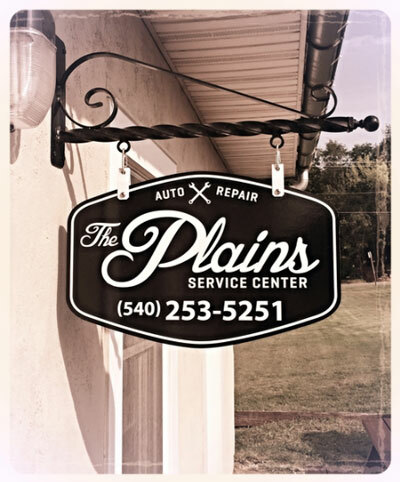 The Plains Service Center Offers Auto Repair Services You Can Count On! The Plains Service Center is the automotive expert in The Plains, VA 20198. Since, 2013 we've provided the The Plains area with reliable, affordable automotive maintenance and repair services including 4x4 Services, Alignment, Brakes, Car & Truck Care, Domestic Cars & Trucks, Electrical Services, Electronic Services, Engine & Transmission, Engine Maintenance, General Services, Heating and Cooling Services, Import Cars & Trucks, Inspections, Miscellaneous Services, Quick Lube Services Tires, Towing, Transmission Services and Undercar Services. We have experience servicing all makes and models of domestic and import vehicles, and we're honored to keep vehicles throughout the The Plains area reliable and well-maintained. Our skillful mechanics will take great care of your vehicle too, quickly diagnosing any problems and offering cost-effective solutions to get you back on the road. Call The Plains Service Center today at 540-253-5251! You can also send us an email. Either way, we're looking forward to providing you with reliable automotive service! Very happy with my service as always! In my 36 years on this planet, they have been the most pleasant and knowledgable mechanics I've ever encountered. Quick and very thorough, but also incredible customer service. Everyone was very friendly!! I definitely will be back! Brandon was awesome again...we appreciate your work. Great experience. The prices and service were outstanding. Brandon always does an excellent job for me. Very good customer communication!! Obvious effort to establish The Plains Service Center as best service available with top mechanics and suppliers! I have been doing business with The Plains Service Center for years. They have worked on a variety of our cars and trucks. Consistently, we have received excellent service at a fair price. Very knowledgeable, accommodating and caring group! They've become my new service center for my Lexus! I highly recommend this service center! You guys are wonderful to work with - you do great work on our vehicles and you are very friendly and helpful! I'm a big fan! I could not have been treated more fairly or more professionally in an emergency situation. Thank you! Excellent service. Brandon keeps you informed about the status of your car and explains what is being done. Utmost courtesy and professionalism. Great! Definitely will be coming back! Thanks! It was time for an oil change and safety inspection. All was done in the prompt, efficient and courteous manner I've come to expect from the Plains team. Customer service is excellent, and they make you feel very secure having them work on your car. Free loaner car was an added bonus. Brandon is the best, keep up the great work guys! You are just great to work with. Fair and honest evaluation and pricing. Very professional, and friendly as well. Thanks for taking the stress out of my truck repairs. Great experience and will be back with another car. Everyone so nice and helpful. Thanks. I came in as a new customer with no appointment to fix a flat tire. The staff fit me in and had my vehicle back to me in a very reasonable amount of time. The garage is clean and comfortable. So happy with the service that I plan to have all my work done there. Thanks! Fabulous service as usual. Got the text message reminder. Dropped my car off for an oil change and check and Brandon's pop gave me a lift to the office. Ready by day end at a reasonable price. I believe in The Plains Service Center. When businesses are busy that is a very good sign. The Plains Service Center was very busy the minute they opened their doors. Brandon did a fantastic job at providing every customer great customer service. Brandon was very informative, personable, and welcoming. We love TPSC! They are always super helpful, friendly and get the job done quickly. We'll be coming back for sure. I am extremely satisfied with all the service that I receive when taking my car down for any problems that I have. It is also very convenient for me living so close. All the servicemen that I have dealt with were very professional. Great service, friendly staff! I bring all my vehicles here. Top notch customer service across the board, above and beyond. Thank you. Excellent service and great work always done well. These guys are the best! We are lucky to have them in The Plains!! Fast and friendly service. Thanks Brandon!! Friendly, knowledgeable, efficient, and very professional. Thank you very much, you guys are awesome!! This was the opposite of most experiences dealing with car service. They were courteous, accomplished the work on time and didn't leave mud and grease in my car. I scheduled to have them do some routine work and when I arrived, I also asked if there was anything they could do about the dull headlights (11 year old Prius). They replaced the headlight bulbs - and only charged for the bulbs - no labor charge! Then they buffed/polished the yellowed plastic housing for the lights and what a difference. Great job!! I was very pleased with the work and the professional way we were treated. It is very nice to have you located near us to have work done on our car and truck instead of having to travel to get the job completed. You can do no better than Brandon and his crew at The Plains Service Center. I came in needing major repairs, and Brandon went out of his way to get me the best deal possible. Honest, trustworthy and highly competent. I won't be going anywhere else but here in the future. I had my camper tires replaced and serviced, and they did a super job. Service price was reasonable as well. Overall the work done was excellent. Service is always top notch. My car required a hard to find part, and the guys went above and beyond to find one. The service was informed, professional and honest. First experience. I'll be back. Great place. Very friendly and efficient. The Plains Service Center is always very friendly, accommodating to our needs and do excellent work. They take the time to explain any issues and are honest and reliable. The owner and the people working there are very polite and efficient, and they have one thing that is hard to come by these days, CUSTOMER SERVICE! Highly recommend them and will certainly use them again. Personal, friendly, and quality service at a reasonable price. 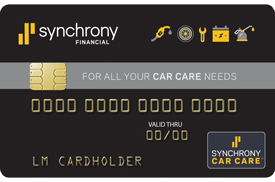 I recommend them, without reservation, to anyone that owns an automobile. I drive two hours to get there, but I know they do excellent work, and I can trust them very much. Excellent service and advice. No nonsense, everything you need, nothing you don't. It's hard to find a shop these days with people as pleasant to work with as this. TPSC always exceeds your expectations in providing outstanding customer care. The guys at the Plains always take care of me and my vehicle - I've been going there for nearly 5 years. I was really pleased how I was treated. I will be back in the future for other services! Thank you all so very much!!!! Excellent service, friendly staff, quality work and done on time. Highly Reccomended! This was my first time going to The Plains Service Center, and this will definitely be my go to place for service on my vehicles. The staff was friendly and helpful, waiting room was large and clean, and the service was quick. Great place. Friendly, fair and efficient. The Plains Service Center is awesome! They try to accommodate your schedule and they do a great job! I have visited here several times for service. On each occasion I have been more than pleased with the courtesy, know-how and professionalism of the staff. I will continue to use The Plains Service Center. Thank you for the opportunity to share my experience. The Plains Service Center team was great!! I was greeted as soon as I walked in the door by smiling, friendly people. Their hospitality was nice. The work done on my vehicle was excellent and price was very comparable. Thank you!! Excellent customer service and auto knowledge along with a loaner car. I would not go anywhere else after using The Plains Service Center. Excellent as usual. Friendly, courteous staff and prompt service. Quick, comfortable, freindly, knowledgable, honest opinions when asked, nice dogs. Thank you Jim, Brandon and the team for once again fixing my Jeep! You all at The Plains Service Center always do a great job taking care of my family's vehicles. I don't look forward to seeing you anytime soon though. It's a bit of a drive for me to get to you guys, but I always leave with the confidence of a job done well. That makes it worthwhile. This visit was only for routine maintenance and bulb replacements, but still got superior customer service. They NEVER try to sell me something I don't want or need, even when they could. It's the little extras like this that keep me coming back. Everyone is so pleasant to deal with, and they go out of their way to provide excellent service that works for your schedule! Work was completed in a timely manner and all personnel was courteous and helpful. Very professional service. Went in for an oil change, and was most pleasantly surprised that it included an air/fuel filter check, tires, fluids - especially since both the air and fuel filter badly needed replacing, and the tires needed air. Thank you all!! Great garage. Quick service for state inspection. Friendly staff, always helpful. Thanks. Perfectly delightful! You all are wonderful to work with. I feel that I'm getting honest service at reasonable prices. Brandon is a terrific addition in that he explains the situation very well and is very informative to talk with. The staff was very professional. My girlfriend had nothing but good things to say. Thank you very much for all your help! I will definitely be coming back in the future. Jim was very professional and understanding as well. Thank you! My 2004 Volvo suddenly needed a new axle and related parts. It was an expense, but I know that The Plains is reasonable in their pricing. Brandon was very helpful in giving me a loaner car since the job required more time. Thankfully, I was able to go to work and pick up my car the next morning. It was such a relief to be driving my good old Volvo and feel assured that it is safe. Truck was ready 1 hour earlier than promised. I had a screw in my tire and needed to get to work. They fit me in, patched the tire and got me on my way. The service was great. Very professional and saved me some money compared to my previous service center. I had an excellent experience at The Plains Service Center. Brandon is a true gentleman, and he gave me all of the necessary information and called me with the quote prior to doing the work. He even offered me a ride home if I needed it! I will definitely be back for my next service. This is THE place to get your car/truck repaired in area. The people who run this place are talented, honest, and overall very solid people. They have a nice and clean waiting area with coffee, drinks, and sometimes cookies. They won't start fixing your car and ordering parts without speaking with you and informing you of the costs. Definitely get reservations so you can get your car serviced quickly, they are popular and have a lot of business. I can't recommend this place enough. Fantastic. Where have The Plains Service Center and Brandon been all my driving life?! I am thrilled to find a knowledgeable, common sense, and well-priced station. I was knew to the area but Brandon treated me like I had been a customer for years. Save me with a new/used vehicle I purchased and in a couple of visits probably saved me from future thousands (at no cost to me). We will only take our vehicles to The Plains. Recommend others in the area do the same. Helped me out when I came in for a quick fix. Was in and out in 15 minutes. No charge. Nicest and most helpful team around! It was great! Place is very clean and service fantastic. Excellent, prompt service. Had 2 tires replaced & a state inspection. They are honest, reliable and fair. Cars breaking down is part of life. Brandon and Steven and staff make it as easy as possible. Prices are reasonable. Communication is excellent. These folks are our go to mechanics. Great service shop, fair and friendly. My new mechanics from now on. They are politely effective at all times, helpful kind and at a fair price. Have been using The Plains Service Center for many years now. It was up until the current management a decent, honest place to have have your car serviced. Since Mike Ball and others have taken over the operations, it has upped its game. It is now easily one of the most expert and eager to please service centers in the area. Everyone from the mechanics on the line to management is courteous and seem sincerely interested in you and your issues. Tire rotations are free when you purchase an oil change... that's right, free...no charge,who else does that for their customers?! They stock most routine parts for the major manufactures which means not having to wait an afternoon or morning before picking your car up. For what was a one or two hour job. Try them...you won't be disappointed. Service was completed timely and on budget. The front desk is quick to answer call and keep customers updated on status. Overall, strongly recommended. So helpful, do the work in a timely fashion, polite, nice and give options on repair. The Plains Service Center is always there to take care of our vehicles. I appreciate the email reminders when the vehicles should be inspected and what to expect in the near future. Unbelievable level of personalized customer service rare in this day and age. Brandon and his staff go above and beyond to provide the best service, and an outstanding value, combined with detailed and exacting communication during the entire service process. Highly recommended.